What Rodents Live in Colorado? There are four deserts in the southwestern United States. The Mojave, Sonoran, Chihuahuan and Great Basin comprise the area commonly known as the southwest desert. They are some of the most biologically diverse deserts in the world and home to uniquely adapted animals and plants. The Mojave Desert covers parts of California, Arizona, Nevada and Utah. It is home to the desert tortoise, which is a threatened species. The desert tortoise is a land-dwelling turtle that only seeks out water when it needs to drink or bathe, and it can store up to a quart of water in its bladder during periods of drought. Other animals that make their home in the Mojave include the Mojave ground squirrel, Amargosa vole, banded gecko, desert iguana, desert rosy boa and Mojave rattlesnake. Insects include the Kelso Dunes Jerusalem cricket and Kelso Dunes shieldback katydid, both of which are endemic to the desert. The Mojave Desert has 250 types of ephemeral plants, which flower for a short period after a rain and then become dormant until the next rainfall. 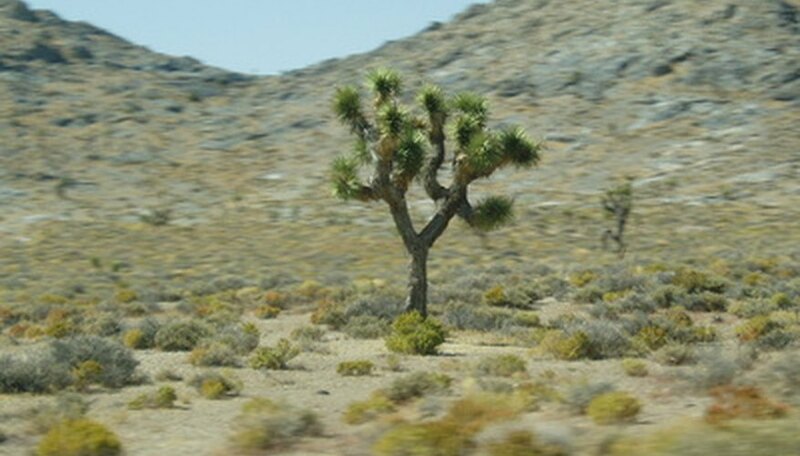 Other plants of the Mojave include the Joshua tree, various cacti, creosote bush, desert holly and brittlebush. The Sonoran Desert covers parts of California and Arizona and the Mexican state of Sonora. It is the most diverse desert in the world in terms of vegetation. One of its most famous plants is the saguaro cactus. 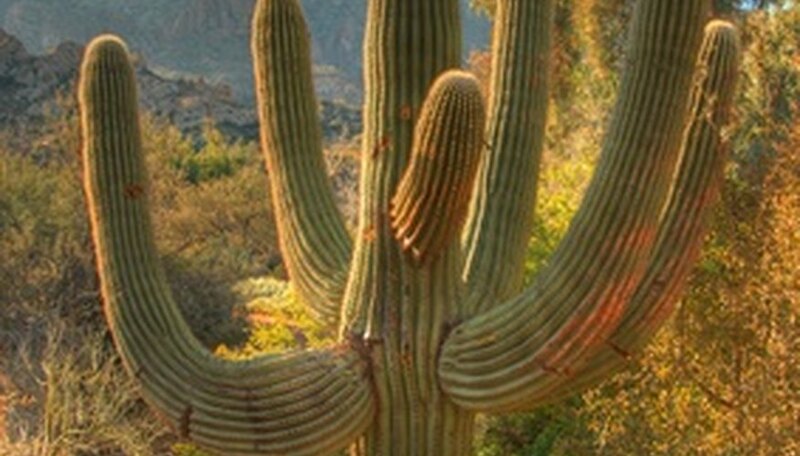 The tall, armed cactus is the symbol of the American West; however, it only grows in the Sonoran Desert. The cactus can grow up to 50 feet and live up to 200 years. Other cacti found in the Sonoran are the cholla, organ pipe and silver dollar. Octillo is a tall spindly plant that sprouts leaves five or six times throughout the year and then drops all its leaves in the winter to avoid moisture loss. 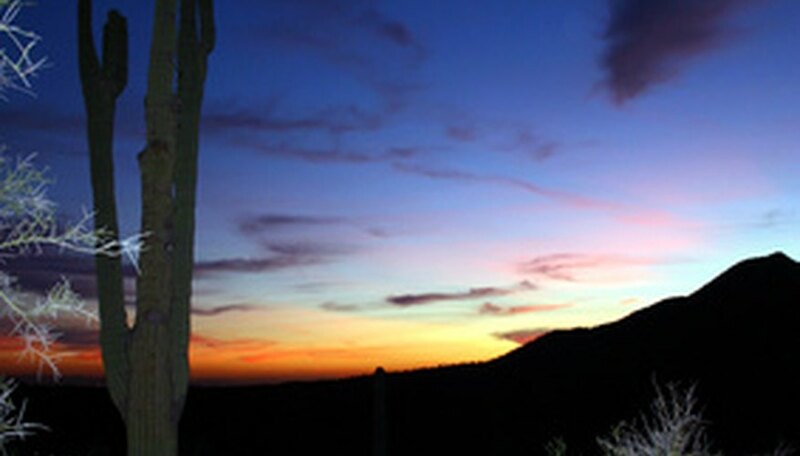 Birds found in the Sonoran include hummingbirds, black-tailed gnatcatchers, phainopepla and roadrunners. Roadrunners reach running speeds of up to 18.6 miles per hour and eat venomous prey including scorpions, rattlesnakes and tarantulas. The Sonoran has 58 species of reptiles, including six species of rattlesnakes and the Gila monster. The Tiger salamander, which is the world’s largest land-dwelling salamander, burrows underground during the dry season and emerges during wet weather. According to the World Wildlife Fund website, the Chihuahuan Desert is one of the three most biologically rich and diverse desert ecoregions in the world. The desert is home to approximately 3,500 plant species, with about 1,000 being native to the desert. One-fifth of the world’s cacti may occur in the Chihuahuan Desert, including the Arizona rainbow cactus and the Mexican fire-barrel cactus. 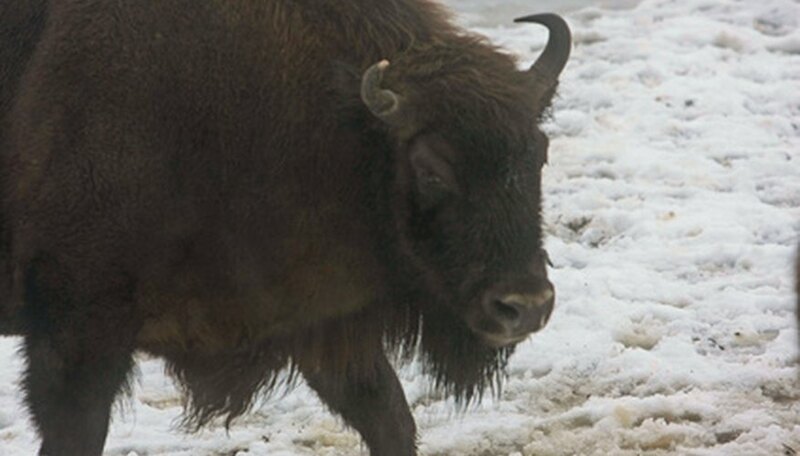 A small population of endangered American bison lives in the desert, along with collared peccaries, grey foxes, common and Mexican prairie dogs, black-tailed jackrabbits and badgers. Birds include elf and burrowing owls, aplomado falcons, black-throated sparrows and cactus wrens. The Great Basin is the northernmost of the four deserts. It is a cold-temperature desert and the largest dry region in the United States. Native to the region are a type of kangaroo mouse and greasewood, which is a flowering plant. Sagebrush, saltbrush and winterfat are dominant plant species of the desert. All three are scrub species that have multiple branches, do not sprout and have evergreen leaves. Shadscale and blackbrush are also prominent plants of the Great Basin. The small lakes throughout the desert support native species of shrimp. Rivera, Eileen. "Plants & Animals of the Southwestern Desert." Sciencing, https://sciencing.com/plants-animals-southwestern-desert-6577809.html. 24 April 2017.